The pattern of political reform following a regime change is usually predictable: the reformers gain popular support, make changes to the constitution and then use constitutional politics to achieve their ends. But Malaysia’s current period of political change is straying far from this pattern. Instead, Malaysia is proving that peaceful transition and reform may be possible without debates about constitutional amendment. The new Pakatan Harapan (PH) government — a coalition of four political parties — was unexpectedly elected to power on 9 May 2018, replacing the incumbent Barisan Nasional (BN) coalition government. Much of the PH’s current political leadership team were part of the BN’s largest member party and now discredited United Malays National Organisation (UMNO), including a former prime minister, two former deputy prime ministers and a slew of former ministers and members of parliament. The election also revived the political career of former and now incumbent Prime Minister Mahathir Mohamad. Mahathir had gone down in history as one of the strong men of Asian authoritarianism. His recent campaign replaced this image with one of a moderate democrat who believes in a free press, a two-party parliamentary system and the rights of citizens. Mahathir’s campaigning against his old party carried enough rural Malay voters into the PH fold to overturn the BN’s dominance. Voters were appalled at the level of corruption in former prime minister Najib Razak’s government. The contrast was stark between voters’ own economic struggles — including the extra burden of a goods and services tax — and the wanton expenditure of leaders like Najib and his wife. While the PH have not yet changed a single word of the constitution, it has already redefined the state as one based on good governance, the rule of law, parliamentarism and the separation of powers. The PH has proposed signing the international human rights covenants (except for ICERD), abolishing the death penalty, and addressing the political and legislative autonomy of East Malaysian states Sabah and Sarawak. The question now is whether the reform process is politically sustainable and can be constitutionally entrenched. One challenge facing the PH coalition is that any ordinary legislative changes — let alone constitutional amendments — can easily be blocked in Malaysia’s upper house, which is still controlled by senators appointed by the former BN government. The upper house has already rejected a bill to repeal the Fake News Act that was rushed through parliament by Najib before the election to restrict criticism of the government regarding the 1Malaysia Development Berhad (1MDB) scandal. There are fears that the PH coalition may simply revert to the Malaysian dominant-coalition stereotype. These are partly fears that the leader of the People’s Justice Party Anwar Ibrahim — the largest party of the PH coalition — will assert what he sees as his entitlement to the prime-ministership. There are also worries about factionalism within Anwar’s party, quite apart from tensions between the four coalition partners. As matters stand, Mahathir is supposed to hand over to Anwar within two years of the election. At 93 years old, Mahathir could hardly plan to go on longer than that, whatever the politics dictates. For the time being at least, the reformers are in charge. Attorney General Tommy Thomas and Legal Affairs Minister Liew Vui Keong are implementing the PH’s campaign promises. 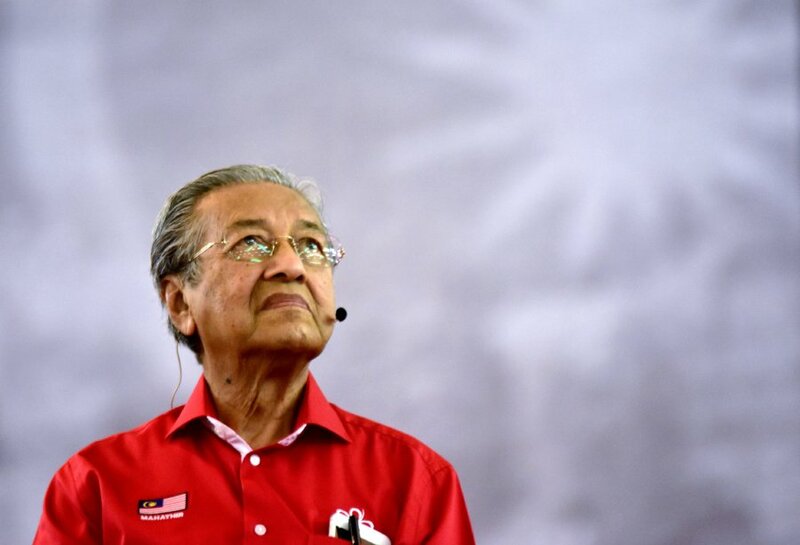 These include the good-governance reforms that Mahathir wryly suggests would not have been so extensive had the PH expected to win the election. Bringing those guilty of corruption to account is the major priority at this point, and ensuring that problems such as the 1MDB scandal will not occur again is also high on the agenda. Despite the flurry of reforms, announcements, prosecutions and policy changes since the election, most legal changes — such as abolition of the death penalty — remain to be implemented. These depend on parliamentary arithmetic. 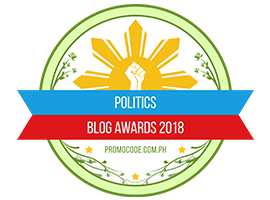 But over the next two to three years, as current senators leave office, there will be opportunity for the PH government to gain much more control over the reform process. These reforms may well involve changes to the Senate itself, which has far too many appointed members and no longer fulfils its original purpose of protecting states’ rights. This of course assumes that PH will remain stable and reform-oriented. Entrenching the reforms in the longer-term may also be a challenge. While an extended period of constitutional debate would be beneficial for the somewhat ad hoc current reform proposals, politics can change quickly. This could side-line reform and reemphasise ethnic and religious issues. The PH still has to establish its credentials with the majority of Malay voters. At the same time, Anwar has consistently advocated democratic reforms and suffered in jail as a result of overweening executive power. These reforms are so long overdue that many of them could become fiats accomplis, or matters of consensus rather than contention. For the moment, the further down this road the reforms go, the harder it will be to reverse them. This entry was posted in Anwar Ibrahim, ASEAN, Civil Rights, Corruption, Democracy, GE-14 Malaysian General Election, Govenance, Governance, Human Rights, Law and Order, Leadership, Liberalism and Open Society, Malaysia, Pakatan Harapan, Politics, reform, Rule of Law, The Malays, Tun Dr Mahathir Mohamad, www.eastasiaforum.org. Bookmark the permalink. Anti-ICERD is a political disaster. Worst, it can be combined with PH failure to deliver on its promises especially to the left although they are opposites. bigjoe said (quote), “He has dragged political opposition into a religious war and it cannot end well”. If a government is slack in providing guidance at the same time that it grants democratic freedom, its enemies could seize the opportunity to take up the slack, and under their guidance, the masses would be influenced in the direction of their aims and attracted to their side, consequently diluting the present day government’s political power and threatening the commonweal of the nation. //The PH still has to establish its credentials with the majority of Malay voters. Perhaps, we could also add that PH has yet to establish its credentials with the majority of second caste also. Bottom line is that PH has yet to embark on any structural sustainable change. Part of the reason of such failure is that PH has ignored its cultural heritage to bring all major economics geopolitical players together. Instead, PH has allowed Tun Dr to fan hatred against China, US, and Malaysia’s closest neighbors. Instead of forging a sustainable win-win future, Tun Dr has merely delayed structural reform by pampering current insatiable greedy elites through borrowed money from Japan. Internally, Tun Dr has still failed to act as a responsible statesmen to do what is right. Instead, for short term gain, he would grant citizenship to the most toxic Indian preacher. Malaysia is at its last. After Tun Dr, there could hardly be any. I would like to lovingly say now or never. But, major players are all too myopic to suggest never. Continue the discrimination, Malaysia. So be it, as long as the layu could still last. Tears for my fatherland (Malaysia) would have to come to an end also. Perhaps, the sooner the better. I am glad my forefather has the wisdom to remind me that I am a Hakka (penumpang) wherever I am, be it Malaysia, China, or US. Sigh.. poor Melayu.